Antonio Conte was left to rue Alvaro Morata’s late booking during Chelsea’s League Cup win over Bournemouth at Stamford Bridge on Wednesday night. The 25-year-old ended up being the hero for Conte’s side as he game off the bench and netted a dramatic late winner for the Blues after Dan Gosling had cancelled out Willian’s opener. However, Morata picked up a yellow card during his 17 minutes on the pitch as a substitute on Wednesday night, meaning that he will sit out Chelsea’s trip to Everton in the Premier League on Saturday lunchtime. Morata has been one of Chelsea’s most consistent players this season, with the striker having scored 11 goals and made four assists in all competitions since his move to the club from Real Madrid. And Conte admits that losing him for a crunch trip to Goodison Park is not the ideal preparation for an important festive period for his side. Chelsea head into their clash with Everton in third place in the Premier League table and 14 points behind leaders Manchester City. 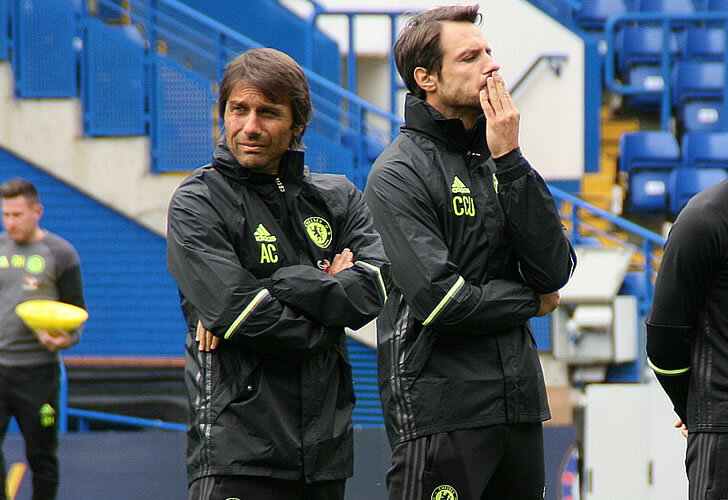 The west London side won the Premier League title in Conte’s first campaign at the club last season.